He has survived on the streets for twenty years. He’s a gambler, a thief, a junkie, a killer and a cop. Now he’s investigating the most shocking case of his life, and as he moves closer to the truth his self-destructive past is closing in. 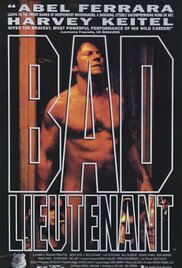 In a career-defining role, Harvey Keitel gives a searing performance as an out of control police detective on a collision course with disaster, desperate to find the depths of human sin and the power of mercy in Abel Ferrara’s brilliant and deeply disturbing melodrama.